At Swiss Garage, our technicians have the expertise to service your hybrid vehicle in Larkspur, CA! Hybrid vehicles are attractive because of their advanced technology and positive environmental impact. But these specialized systems, including the hybrid electric battery and integration with traditional engines, can make caring for your vehicle more challenging. 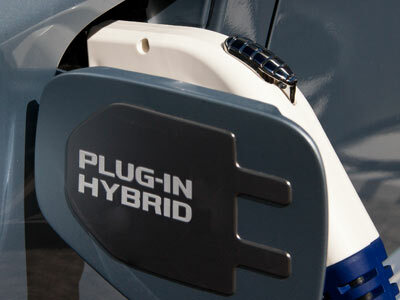 But when you bring your hybrid to Swiss Garage, our experts take the challenge out of hybrid repair! You don’t need to take your Prius to a Toyota dealership for reliable repair. Our independent auto repair shop is your dealer alternative. The certified technicians at Swiss Garage have the training and experience to perform a full range of services for your hybrid vehicle, including preventative maintenance like oil changes or tire rotations and major repairs including engine repair and hybrid battery maintenance. Our independent auto repair shop takes pride in servicing hybrid electric and plug-in hybrid vehicles, including the Toyota Prius. We understand why you love your hybrid electric vehicle – that’s why we go the extra mile to take care of your hybrid, keep it in the best condition, and help you get the longest life out of your vehicle! With continued training and state of the art equipment, our technicians are able to stay up-to-date on the latest developments in hybrid electric vehicles. We know your car or truck inside and out, understanding how the traditional combustion engine components work together with the electric battery for the best performance in your hybrid vehicle. While we specialize in Toyota Prius, we are also qualified to work on most major makes and models of hybrid vehicles, including Toyota, Honda, Ford, GM, and more. Our full service auto repair shop is ready to meet and exceed all of your hybrid vehicle repair, service, and maintenance needs – stop by our shop in Larkspur today and see what makes Swiss Garage your dealer alternative for hybrid auto repair. If you have questions about the care or services for your hybrid vehicle, contact our team of certified technicians today: 415.461.4727.